With summer vacations wrapping up, many of us are enjoying these days of sun and heat. Trips to the beach, swimming, family bbqs and outdoor exercise are awesome ways to “bank” these memories of summer. September is a great month in the GTA, and it offers many beautiful days for adventure and new experiences. One of these opportunities is being held this September 7-9th at the Harbourfront Centre in downtown Toronto. With free admission, the 34th Veg Food Fest held by the TVA is worth checking out whether you are vegetarian or not. So we plan to take a break from making gift baskets, gift boxes and cookie bouquets in Burlington to enjoy this event. It’s been a great summer so far working hard creating one cookie gift at a time. 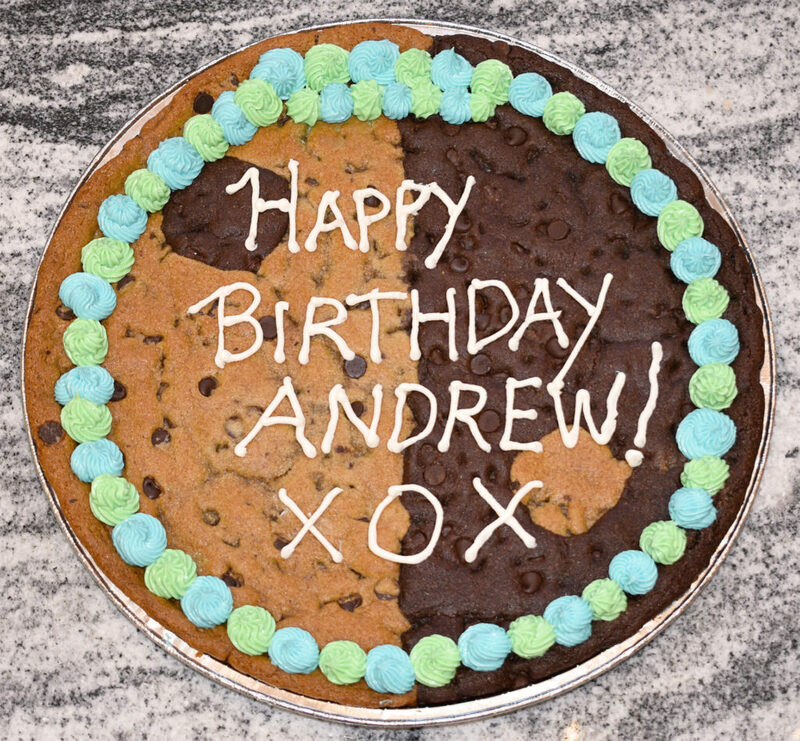 Today, we have been working on creating a giant cookie to help make a birthday really special. Check out this amazing cookie gram. 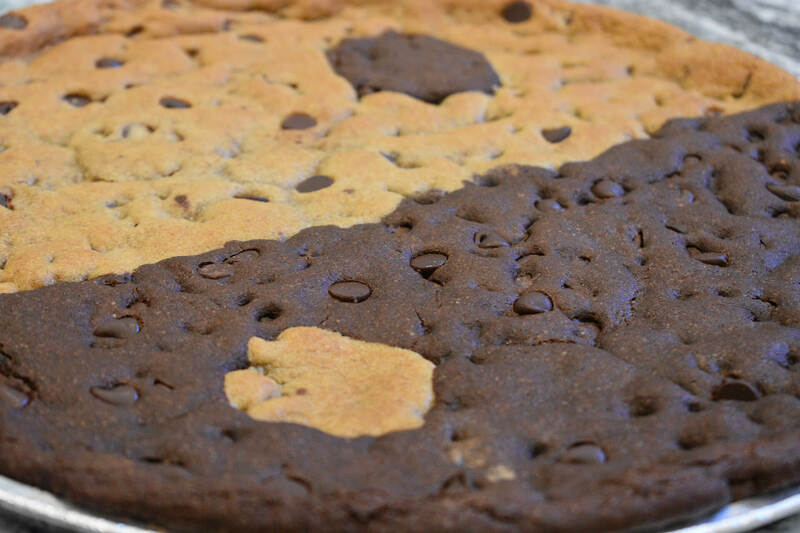 It is our Yin and Yang Chocolate Marble Cookie Gram. 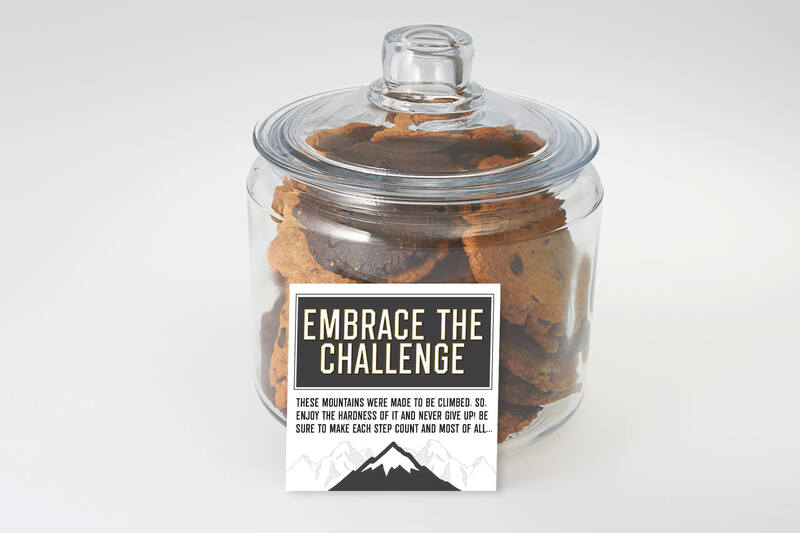 This unique option is available with all of our different giant cookies we make. We love sending our cookie gifts as gift baskets, giant cookie grams and gift boxes to help celebrate every special moment. We deliver our cookie grams locally in Toronto, Mississauga, Oakville, Burlington, Hamilton, Dundas and Stoney Creek. If you live within the GTA, please see the Cookie courier costs page for more information. 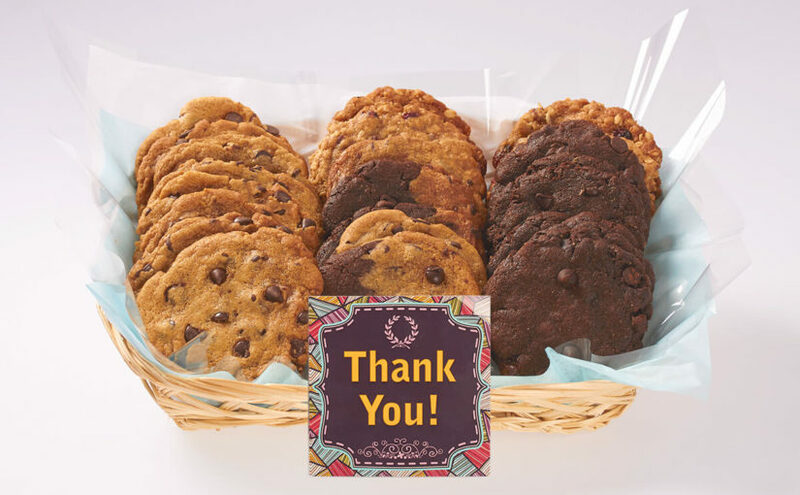 We hope you will consider sending a cookie gram delivery for your celebration. 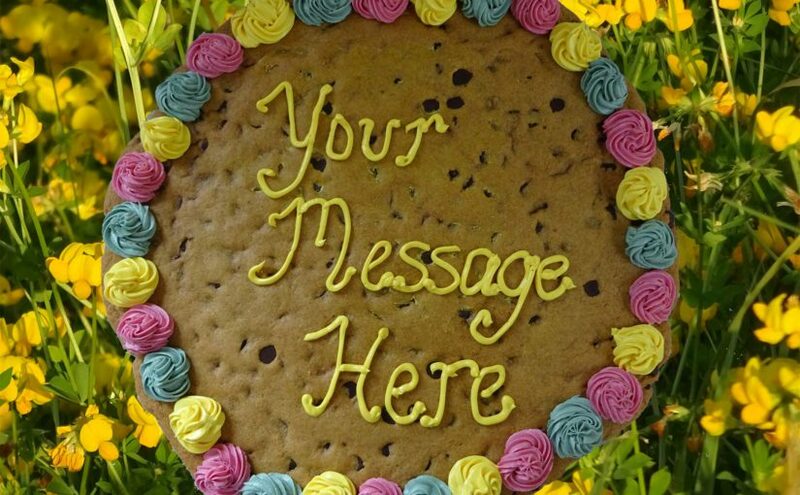 Send a giant happy birthday cookie gram locally in Toronto, Mississauga, Oakville, Burlington, Hamilton, Dundas, Stoney Creek and across the GTA. 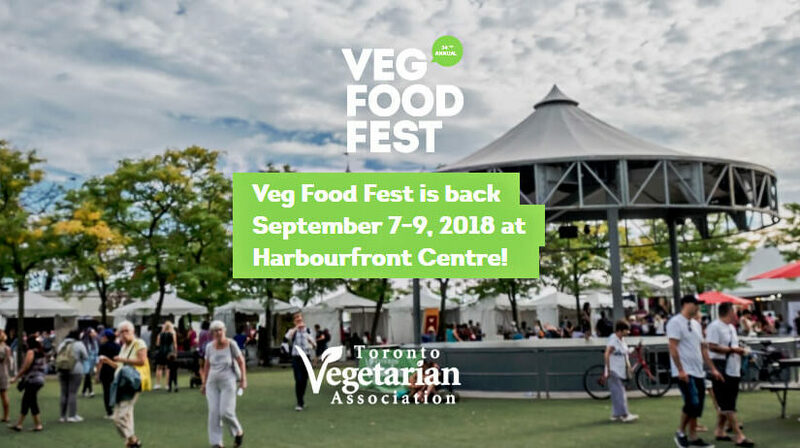 As we wait for some cookies to cool, we thought our vegan and veggie friends who might like to know about a great new tool for finding vegetarian and vegan friendly businesses and restaurants in Toronto and around the GTA. If you are looking to send a unique vegetarian gift then check out some of the vegetarian cookie gifts we have available for Toronto delivery.